With winter almost upon us, it will soon be time to take out the heavy coats. 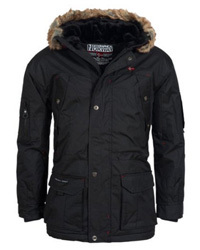 Parkas are usually the coat of choice and preferably those that come with Down insulation. Down jackets are like no other when it comes to providing warmth and comfort in the harsh temperature that winter brings, and the coziness more than makes up for the high expensive price tag. 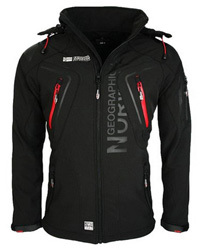 However, with such a quality jacket and especially at that price, proper care and maintenance are key in ensuring that your jacket will last for many seasons and perform as good as new. In the case of down insulated jackets and parkas, however, this is even more important because down is a bit fussy when it comes to cleaning and caring for it. That’s not to say that you should wear it rarely for fear of having to clean it often, because if you know the correct steps of how to clean a down jacket, then there is nothing to worry about and not much that can go wrong. A few weeks ago, we did a guide just for that, so that you can take matters into your own hands and have a clean and long-lasting down coat. You can check it out here. Now, onto today’s selection, which is that of down cleaners. 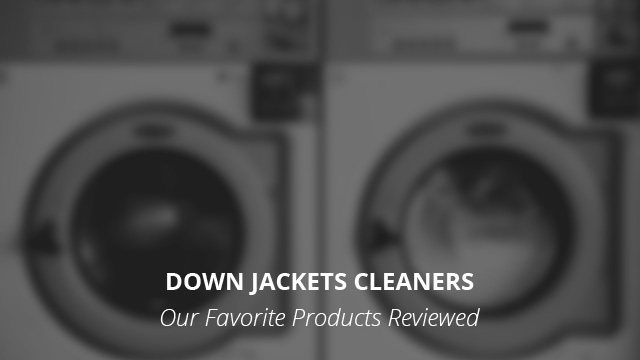 Why down-specific cleaners are important you can find out in the aforementioned guide, now it’s time to take a look at some of the best and essential products needed to properly wash a down-insulated coat. * Note: The availability of the products in this page might change at any time. Also please check the products features on the various shops before buying. We do our best to assure the accuracy of our articles, but sometimes they might contain errors. The product images shown are for illustration purposes only. 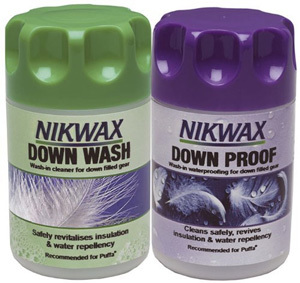 Nikwax’s Down Wash and Down Proof products are two of the typically recommended products when it comes to washing down garments. Down Wash is a wash-in product, meaning that it goes into the washing machine or the washing sink/basin where you will be washing the down garment. 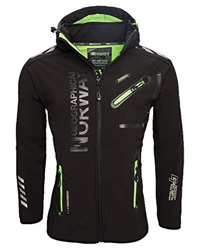 Its purpose is not only to properly clean the jacket itself, as a normal detergent would, but it also thoroughly cleans the down insulation without causing damage to it. It helps bring back the loft of the feathers, making them insulate at their best. 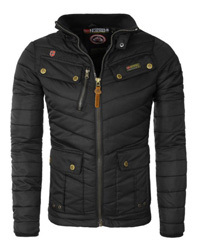 Down Proof, on the other hand, is also a wash-in product that goes in after the Down Wash and the purpose of which, is to coat the down feathers with a water-repellent coating that helps them stay dry for longer, in case the jacket gets wet, for example. The reason why this 2-step method is so important is because of down’s incapability to insulate if it gets wet, therefore a water-repellent treatment is a necessary step. ReviveX by Gear Aid is a down cleaner that comes with a 4 times concentrated formula and at 12 ounces, it is enough for cleaning up to 24 garments. It is suitable for all types of down insulation, regardless if it is duck, goose, treated or untreated down, and even down mix insulation. The formula is very gentle and delicately but thoroughly cleans down, without affecting loft and shape, therefore not damaging it in the slightest. It also washes out easily and quickly, with no residue left. You can use this cleaner in all types of down-insulated clothing and gear and due to such a concentrated formula, a single wash will be enough for an entire season. This, in turn, will mean less washing frequency and therefore minimized risk of damage, as well as less stress for you. Green Meadows by Le Blanc® is a universal down cleaner, meaning that you can use it in all types of down and all down garments, including duvets, comforters, quilts and sleeping bags. It contains no bleach or other chemicals that might damage down, like sulfates or enzymes, and thus it is 100% biodegradable and safe for the environment. It helps protect the natural oils that is contained in the down feathers by preventing it from drying out and also helps preserve the feathers’ loft. For this reason, the washing process will not cause the down to lose its insulating ability nor lose its shape. It comes with a very light and pleasant fragrance, which is not irritating to either skin or lungs. 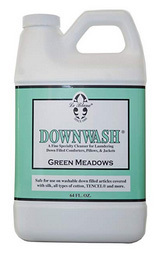 Also by Nikwax, Down Wash Direct is a down cleaner formulated for all types of down that comes as a one-step cleaner. It not only cleans the feathers, but also helps restore their water-repellency, therefore it is suitable to be used with hydrophobic down as well as regular down. Because this is a one-step cleaner that washes away dirt from the feathers and also helps to waterproof them, it saves time and effort as you only have to do the cleaning process once. It is a wash-in product that is recommended to be used on one or at most two garments at a time, in order to ensure proper cleaning and waterproofing for each. 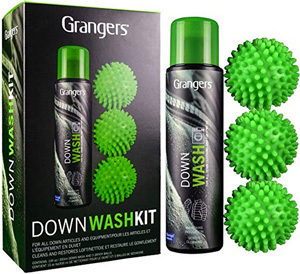 The last wash-in product, before we move onto drying-essential products is by Grangers, the Down Wash Kit. This is a product that comes not only as a wash-in cleaner but it is accompanied by dryer balls, too. The cleaner helps to gently but deeply clean the down feathers and rid them of any debris that can attract and hold onto water, thus wetting them faster, as well as helps restore the insulation ability by bringing the feathers back to their original loft. This cleaner is environmentally-friendly and free of VOC and Fluorocarbon, and it is also Bluesign Certified. Dryer balls are a must-have when it comes to caring for down jackets as they go into the tumble dryer with the down garment. Their role is that of breaking up the clumps of feathers created in the washing machine, therefore restoring loft and ensuring that the feathers dry thoroughly. Damp feathers can quickly turn ugly as they can become susceptible to mold and mildew due to being organic products. 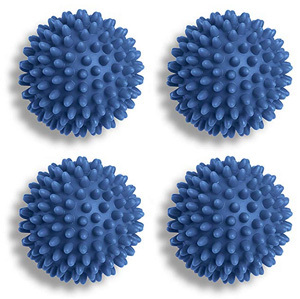 Whitmor’s dryer balls come in a set of 4, in the color blue. They are made of reusable and non-toxic material and designed with soft spikes that help massage the fabric of any garment, therefore substituting fabric softener. They are, of course, suitable to be used with down garments as well, as they help break up the down clumps and fluff up the feathers. 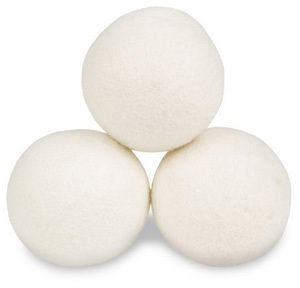 The last product on our list is by Smart Sheep, a set of 3 reusable dryer balls that are made of 100% Premium New Zealand wool. They shorten drying time and help to naturally soften fabrics without the need of the harsh chemicals contained in fabric softeners. They are able to last for nearly a thousand loads and are sturdy enough to break down clumps without much effort.